Thanks for the pic Tanja. 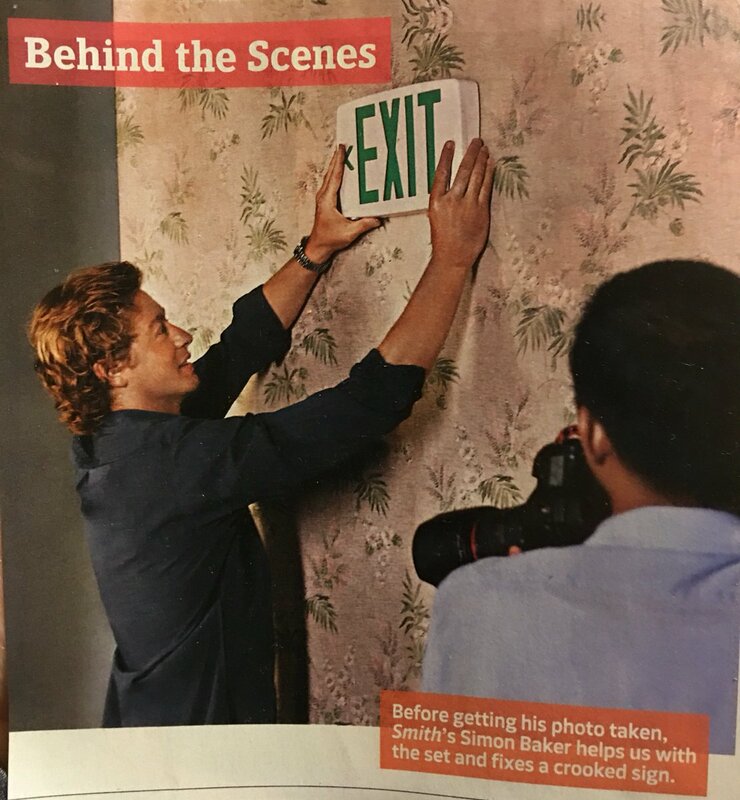 That shirt seems to be a favourite of Simon's. I seem to remember him saying he likes to feel comfortable in his clothes so perhaps that's why he likes to wear it so much! Perhaps he has more than one! 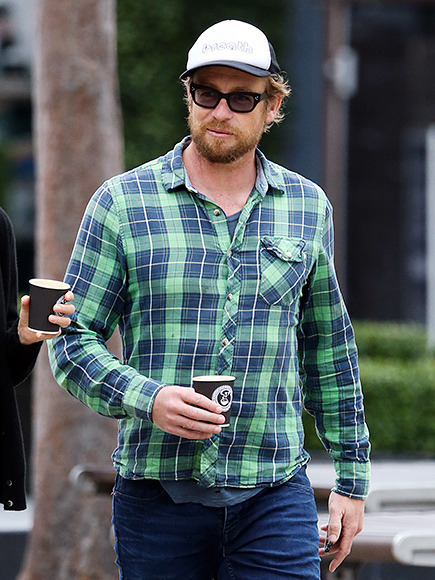 The Mentalist's Simon Baker takes his caffeine to-go on Wednesday at a farmer's market in Sydney, Australia. Did you notice it's printed "breath" on his cap? Thank you Ivana and Tanja for the new pics. I want that cap ! No I didn't notice it!! I want that cap too!! Thank you for the pics DSP and Ivana. 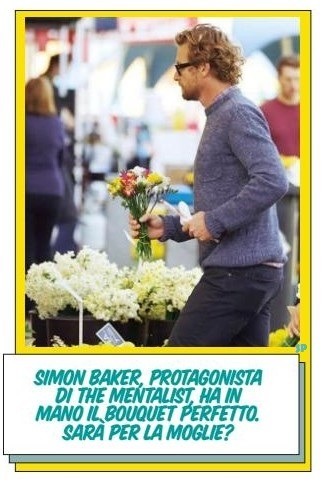 I am thinking that he is lunching with his Mom?